Oil Pastel Painting Lessons. 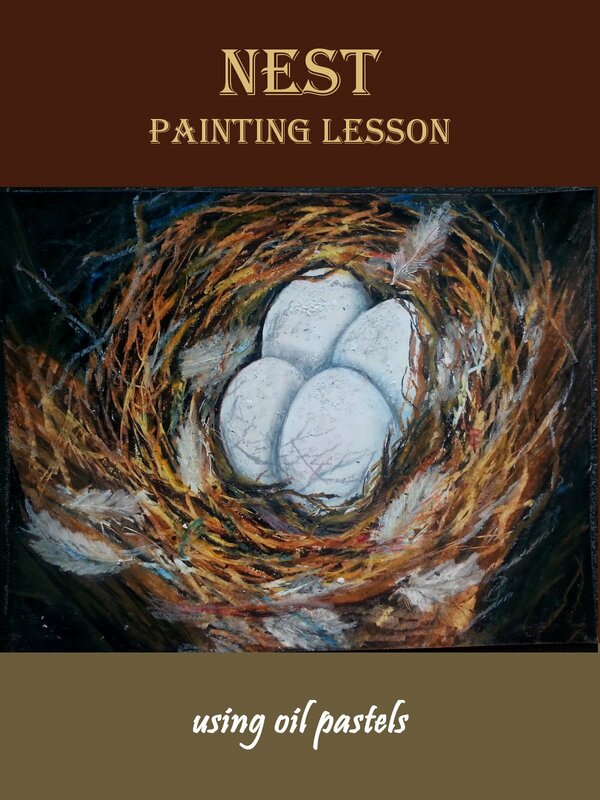 This is a paint along art lesson that will guide you from start to the end of painting. Lessons: 1. Introduction, 2. Materials, 3. Palette, 4. Sketching, 5. Nest - Under Layer, 6. Eggs, 7. Nest - Final Layer, 8. Background 9. Scratching, 10. Highlights.